A Guide To The Dvd Special Anniversary Edition - Oklahoma! 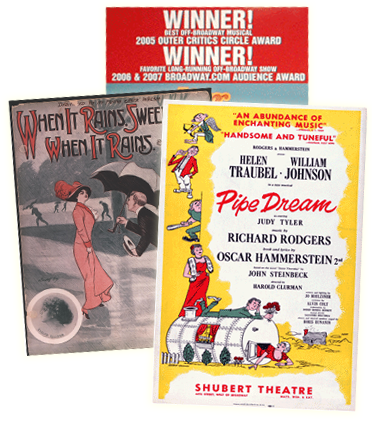 The first Rodgers & Hammerstein musical was also their first stage vehicle transferred to the big screen. Released in 1955, OKLAHOMA! starred a radiant newcomer, Shirley Jones (see p. 6) and Gordon MacRae. Rodgers and Hammerstein produced the film themselves, and brought several of the stage versions key creators along with them to Hollywood, including choreographer Agnes de Mille (preserving forever her groundbreaking Dream Ballet), conductor Jay Blackton and orchestrator Robert Russell Bennett. The film earned two Academy Awards, for Best Sound and Best Scoring of a Musical Picture (with Blackton and Bennett sharing in that award), and was a critical success and box office bonanza. Oklahomans may bristle at the fact that their movie was actually shot in Arizona, but never mind: this is an exhilarating film, one that is faithful to its stage original while infused with an energy and attitude all its own. The movie has always held a fascination for film buffs because it was released in two different formats simultaneously Todd-AO and CinemaScope. To meet the specific needs of these two processes, the movie had to be shot twice and so, in essence, there are two parallel, but slightly different versions of OKLAHOMA! While the CinemaScope version appears in some of the earlier video and laser disc incarnations, the Todd-AO film was chosen for the 2000 DVD release. For the 50th Anniversary DVD, Fox will release both films in one double disk package. Ted Chapin and Hammerstein biographer Hugh Fordin provide the commentary on the CinemaScope version, while Shirley Jones and Fox historian Nick Redman offer their audio insights on the Todd-AO edition. To enlighten the hopelessly confused, the second disc contains a very technical but fascinating crash course on the two different film formats. The aforementioned Vintage Stage Excerpt for OKLAHOMA! features the two leads of the then-running US National Tour. Shown here: Gordon MacRae, a few months before he would begin filming the movie, and a newcomer named Florence Henderson. 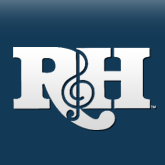 We hope that the new Fox R&H DVD editions will please the fan and satisfy the maven. They have been put together with a great deal of love, not to mention admiration for the extraordinary talents who made these classic films in the first place. Kudos to the team at R&H (if we may say so) and to our colleagues at 20th Century Fox Home Entertainment. Grateful thanks to Julie Andrews, Christopher Plummer, the von Trapps (both real and reel), Shirley Jones and Pat Boone; to the historians who contributed their time and expertise to the audio commentaries, and on-screen documentaries; and to the lab technicians who restored these films as reverentially as they would the Sistine Chapel. The entire Fox R&H collection will be out in all-new DVD formats by next spring, and they are films to be cherished. While the stage versions of these musicals continue to thrive the world over, it is nice to know that in their own time-captured way, these films will bloom and grow forever.